The essential edit of the 700+ hottest spots to eat, drink, shop and sleep in London this autumn and winter. Written by Gogo’s London team, the guide focuses on emerging local designers, independent boutiques, small neighbourhood bars, and dynamic new restaurants that no other guide knows about yet. Gogo guides are updated twice a year, and feature a magazine section filling you in on the season’s cultural calendar, plus all the news and gossip everyone is talking about right now. 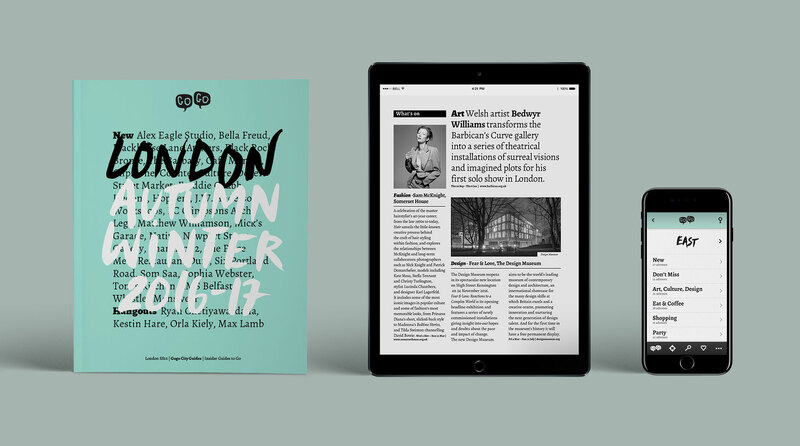 For each edition, we also invite a few of our remarkable friends and heroes to share their favourite places in London; this season we feature Ryan Chetiyawardana, Kestin Hare, Max Lamb, and Orla Kiely. And this new edition features completely revamped maps, with every address now cross-referenced with its own coordinates.